THESE ITEMS ARE ON ORDER. EXPECTED SHIP DATE IS 3/11/2019 OR SOONER. 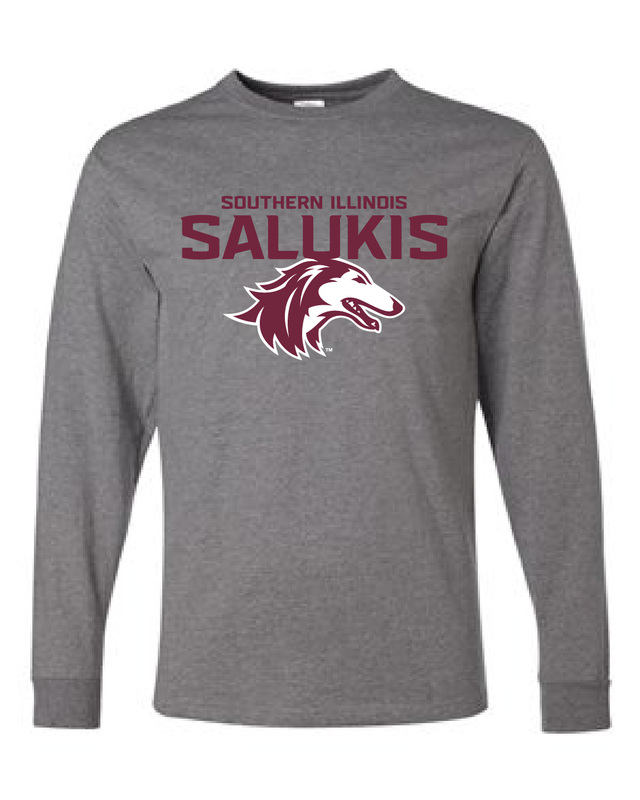 These comfy long sleeve t-shirt features the new SOUTHERN ILLINOIS SALUKIS athletic logo across the front. 50% Cotton/50% Polyester.